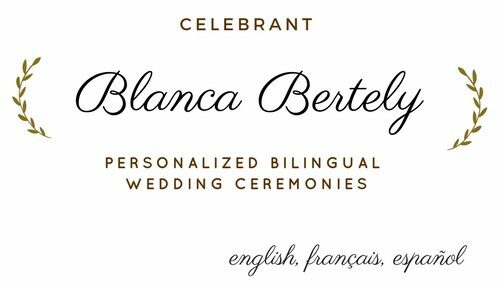 Blanca made the whole process enjoyable, and the ceremony was personalized beautifully. All of our guests commented on how special it was, and how much it reflected our personalities. She went out of her way to make us relaxed, and dealing with her was a pleasure. Would definitely recommend Blanca! “Wow what a romantic, well organised, professional service you carried out, you made both families very proud, you made every smile, laugh and cry (happy tears) a memorable one. Thank you” Father of the groom.